Sometimes I'm a little to quick with my trigger finger when I shop online. This time my mom gifted me with an old Francesca's credit she wasn't going to use. 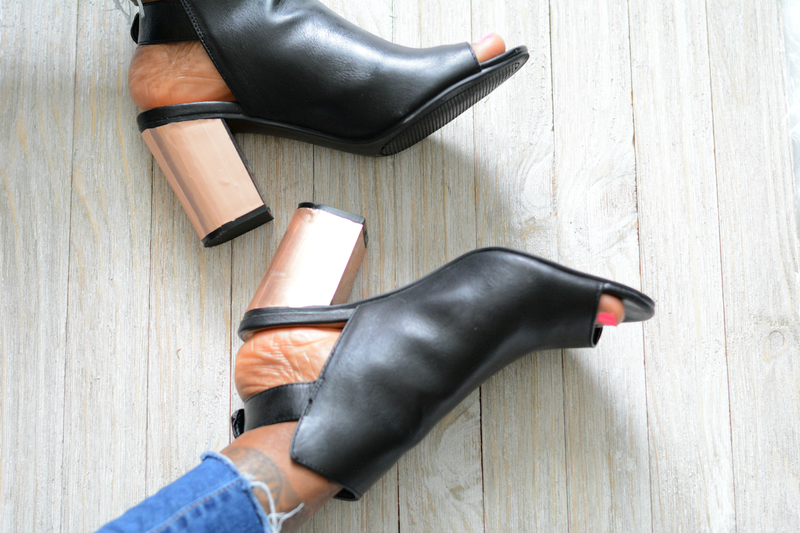 I saw someone on Instagram with a cute pair of peep toe booties and I went looking for them. They were sold out so I bought something similar. When they arrived, I was underwhelmed. Instead of going through the return process, I decided to DIY. Metallic reflective blocks heels give these simple black shoes a fresh new look. 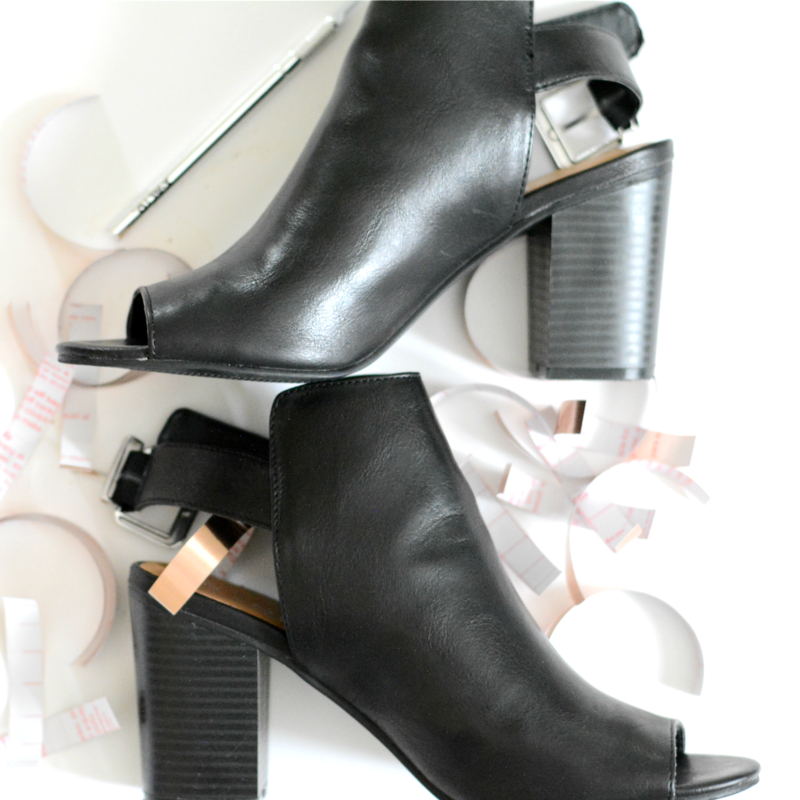 This is a great diy for those old thrift store shoes with a block or triangle heel. They're a thrift store staple and are usually very affordable. Adding a metallic touch helps them look less dated. Also great for covering up nicks. Instructions Cut paper into 1" wide strips. The length should be cut long long enough to extend past the length of heel. 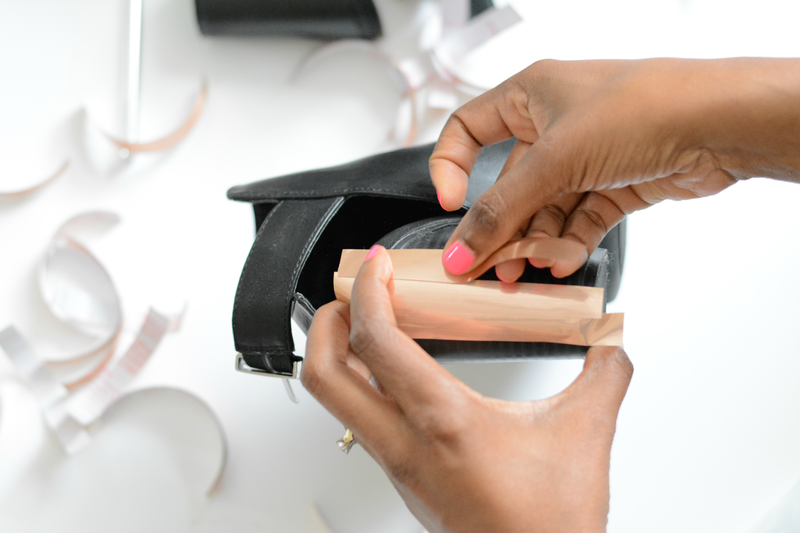 Remove backing from paper and place strips on heel starting in the center back. Overlap the strips so that the entire heel is covered. Use the x-actio knife to precisely carve the paper around heel. Make small cuts and feel for indentations to make sure you're getting a clean finish. Peels away the excess paper. *For extra security add glue then lay the strips. This is an extremely easy diy. You don't need a lot of tools and supplies. It's easy to remove too. You don't have to commit to it. 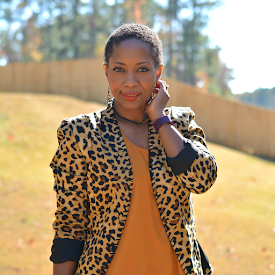 You can create a different looks with ease. I found the contact paper on Amazon. It's available in silver and gold too. Do you like metallic block heels?